All Boston homes currently listed for sale in Boston as of 04/25/2019 are shown below. You can change the search criteria at any time by pressing the 'Change Search' button below. If you have any questions or you would like more information about any Boston homes for sale or other Boston real estate, please contact us and one of our knowledgeable Boston REALTORS® would be pleased to assist you. "This gorgeous property includes Blue Ridge Mountain views and and Hazel River frontage! Perfect as a family home or a weekend escape. 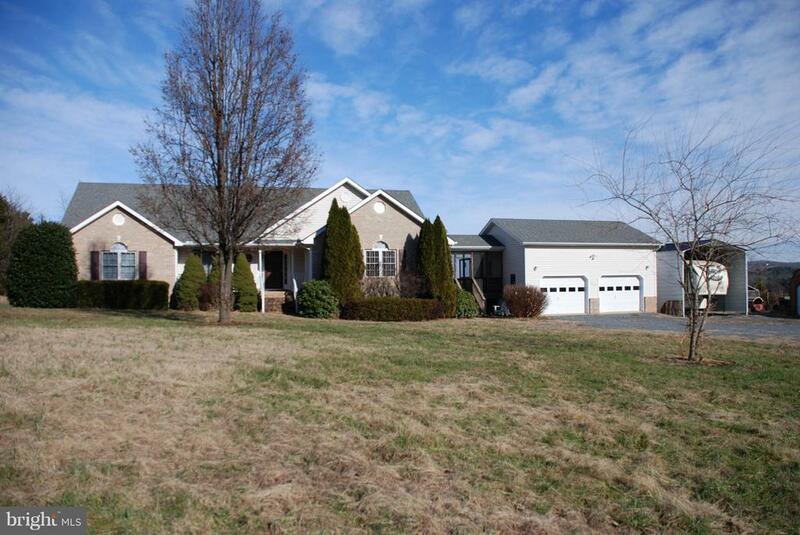 5 bed/3.5 bath main home with additional 3.79 acre parcel and guest home. Heated pool, screened porches, a large brick veranda and ample storage space make this an ideal space for family and entertaining." 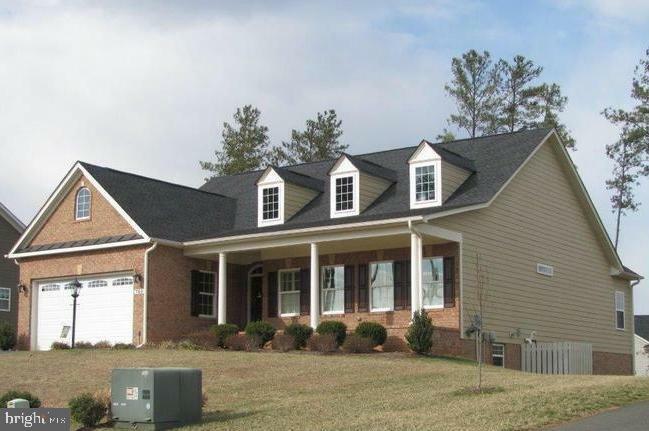 "Slate Mills Road is the perfect combination of sophistication and country charm. Built as a forever home, no expense was spared to create the perfect country retreat. The three-bedroom, three and a half bath home offers the convenience of one level living with plenty of space for entertaining. 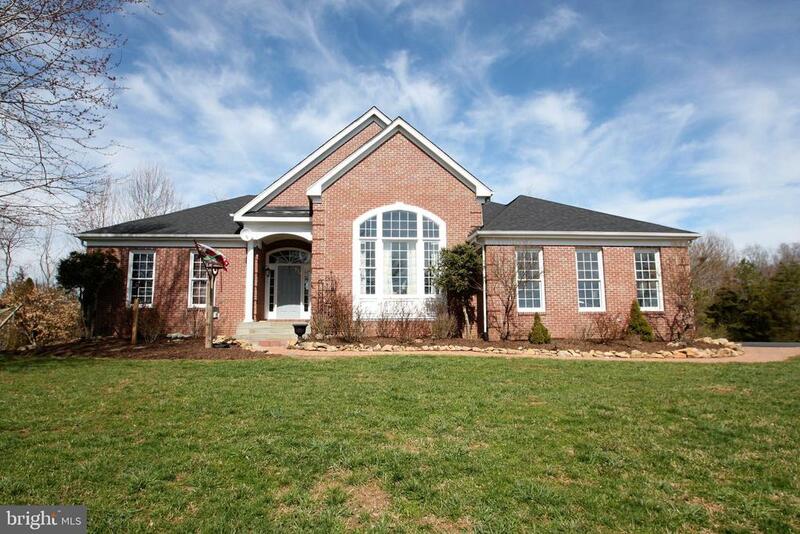 The home features both an attached garage and a detached 3-car garage. 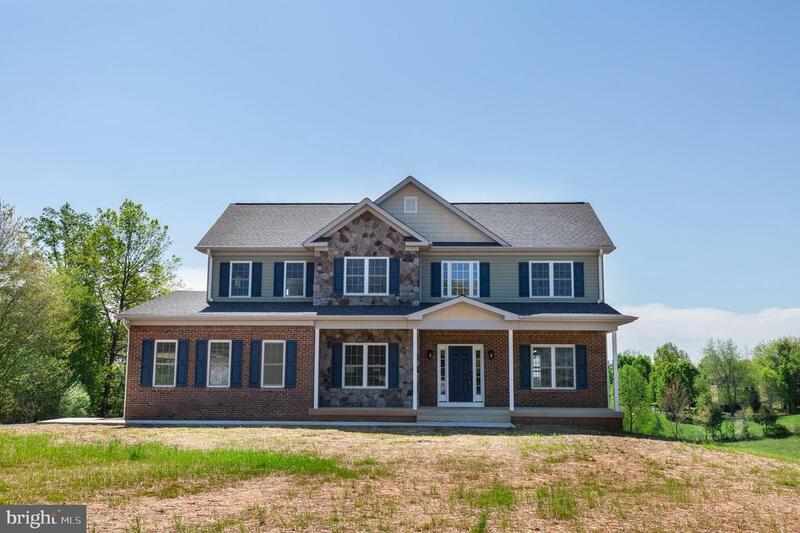 The 20.4 acre parcel is beautifully landscaped and features a woodland pond.A tree lined driveway curves along the contours of the land as you approach the home. A large field, set off by 4 board fencing, gently flows along the eastern side of the property while the northern and eastern portions are protected by mature timber stands. The woodland pond graces the southern border of the property. The property is impressively landscaped with a mixture of formal gardens and easy-care plantings. The home is gently nestled into the landscape and doesn't show its full majesty until you arrive. A 3-car detached garage, built to look like a classic barn, sits near the main house and adds to the charm of the property.Slate Mills Road combines an open floor plan with elements of a classic floor plan creating a unique home with comfort, grace and style. You enter into a stately foyer...perfect for greeting guests. To the left is the formal living room with a fireplace and a cathedral ceiling which gives the room a bright open feel. On the other side of the foyer is the dining room with cathedral ceilings and floor to ceiling windows. A center hallway leads from the foyer into open family room / kitchen. Anchoring this room is a large field stone chimney, an elegant mantle and a delightful wood stove. The room flows seamlessly from the family room portion to an expansive kitchen with a large casual dining space. The kitchen features plenty of counter space, double ovens and a pantry. A covered porch runs the entire length of the room. 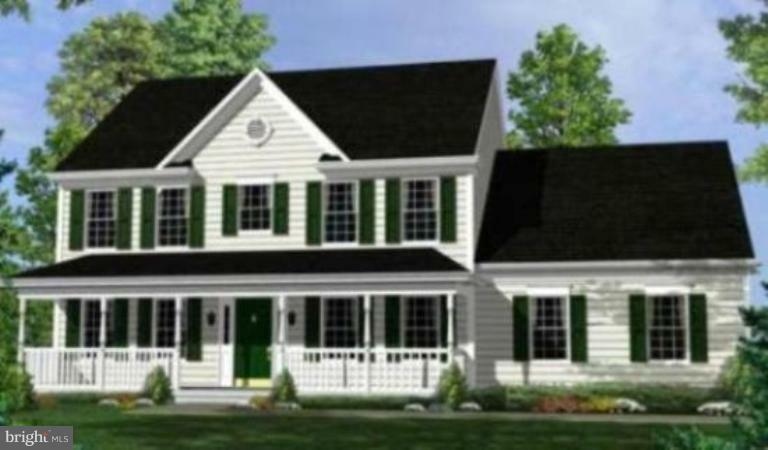 With full southern exposure, the porch, family room and kitchen ar"
"To Be Built Colonial offers first floor master suite, large gourmet kitchen & breakfast area, dining room, 2 bedrooms upstairs & bonus room - could be 4th bedroom. Finished include: hardwood floors, ceramic tile, granite counters, SS appliances. Full unfinished basement with rough in for a 3rd full bath + 2 car garage. Approx. 6 mo. delivery from ratified contract. Lot also for sale separately by owner." 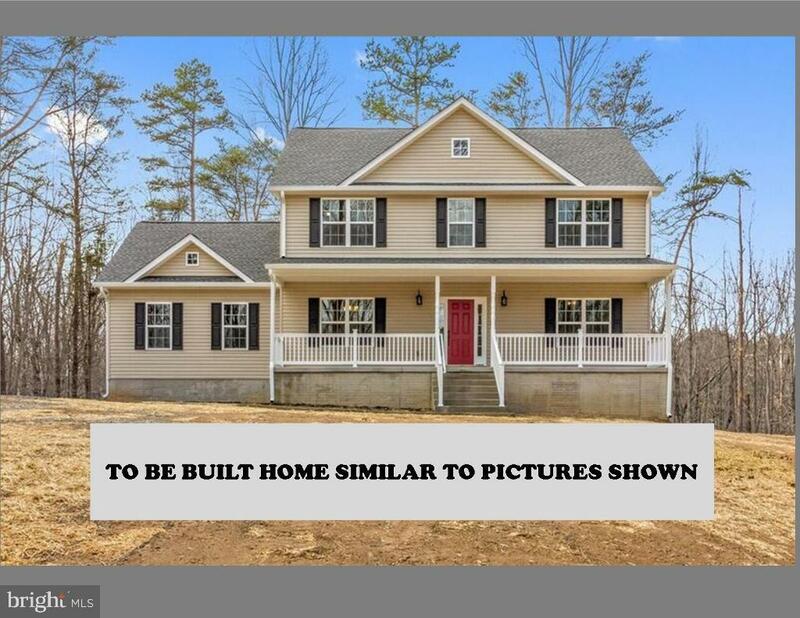 "New To Be Built Colonial on 3.59 Acres. 6 month delivery from contract. Finishes include hardwood floors, ceramic tile, granite counters, stainless steel appliances, 9' ceilings on first floor, vaulted master bedroom ceiling, washer/dryer hookup on the bedroom level, full unfinished basement with rough in for 3rd bath, sliding glass exterior door, 2 door attached garage. Lot also for sale seperately~by owner." "Welcome to Peacefield. An incredibly renovated, remodeled and improved all brick rambler, situated on two private acres overlooking the Hazel River with gorgeous mountain views. This beautiful home boasts over 5,000 sq/ft of living space, 4 BRs, 4 BAs, open concept floor plan, family room with vaulted ceiling, main level master suite, gourmet kitchen with a designer-inspired breakfast room, theatre room, finished lower walk-out level, open rec room with pool table & wet bar, two brick wood burning fireplaces, private deck, heated pool and Jacuzzi hot tub and so much more ... Not to be missed!" 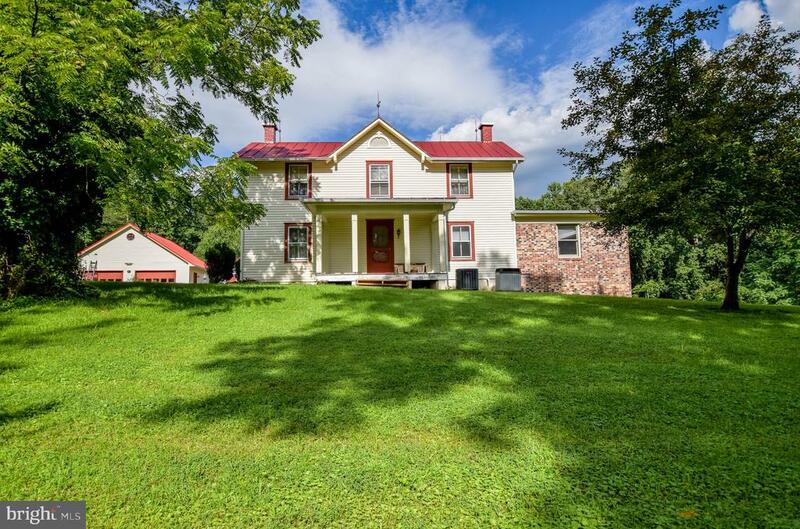 "Straddling the county line between Rappahannock and Culpeper, the Homestead on O~Bannons Mill Road offers endless possibilities. 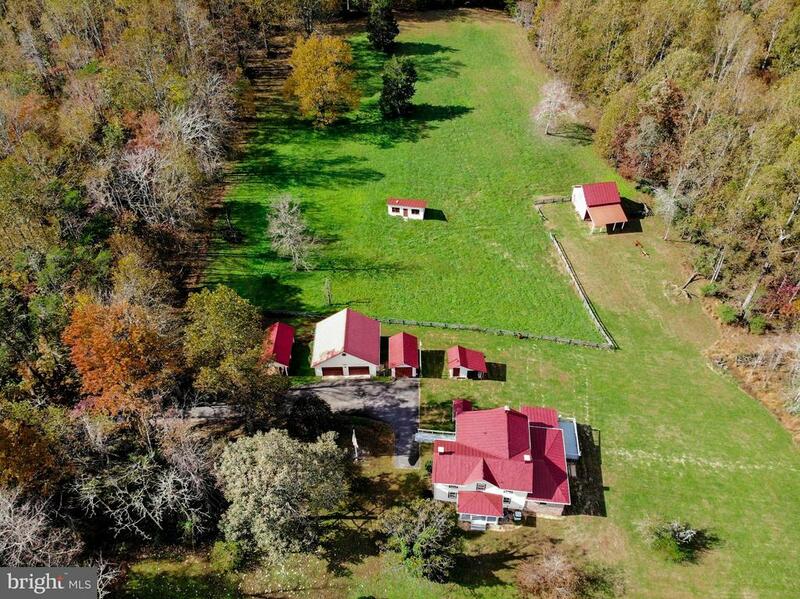 With three distinct pastures, the property would make a magnificent farmette or small horse farm. A creek wanders through the middle of the property which would be perfect for watering your animals, or would make an excellent pond site. The property is already divided into five lots making development a snap. Outstanding views to the southwest enhance the overall charm of the homestead.Nestled among the trees, the four bedroom split level home is an oasis of tranquility. The main floor features a large living room that looks out to the front yard and the mountains behind them. With full southern exposure, this room is always warm and filled with light. From the living room, the house flows seamlessly into the dining room. The dining room features a large bay window that frames a majestic view of Old Rag Mountain. A 12~ x 18~ deck, perfect for wiling away the summer hours, is accessible from the dining room. The kitchen is large enough to be an eat-in kitchen or the serious chef could add in extra counter space and storage.Down the hall and away from the main entertaining area are the three main floor bedrooms. The master bedroom, replete with a master bath and plenty of closet space, lies on the northeast corner of the home. The bedroom looks out to the woods behind the home and offers complete serenity. Across the hall are the second and third bedrooms which both have southern exposure.The lower level of the home features a large fourth bedroom. Behind the fourth bedroom is the utility room. Down the hall from the bedroom is a small office. The balance of the lower level is a giant family room which would make a great pool room or home theater area. The attached 2 car garage is accessible from family room. The house features a wood-burning furnace already ducted into the heating system that can be used for auxiliary heat." "To Be Built Rambler with gleaming hardwoods, 9 ft Ceilings, Granite Counters, upgraded appliances, Master bath with separate tub and shower. Rough In Bath in Basement for future expansion and a 2 Car Garage. Priced with most requested finishes. Approximate delivery 6 months from ratified contract. Lot also for sale separately by owner." "Spectacular custom built stone and cedar home with amazing mountain views and scenic vistas, sit on the wrap around porch and watch the sun set over the Blue Ridge Mountains with the most amazing views of the valleys and Old Rag Mountain! 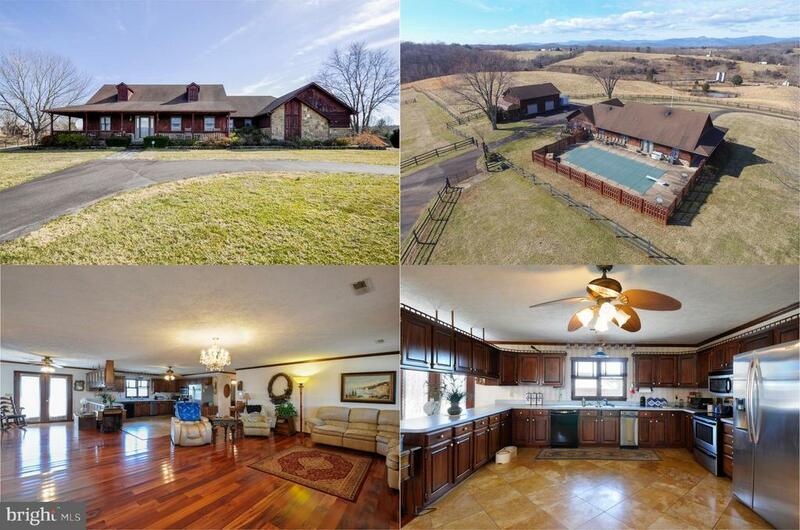 A long private & circular drive leads to this fabulous home and property, fully fenced with inground saltwater pool, oversized detached 2 bay garage, storage shed, 7 stall barn w/wash stall plus 16 stall barn w/tack and wash rooms, indoor riding ring, both with water and electric! Fantastic country living and just minutes to town! This spacious home with beautiful upgraded Brazilian cherry hardwoods throughout has a massive open living, dining, kitchen area that is great for entertaining! Large kitchen has loads of cabinet and counter space and SS appliances. The dining room has French doors leading to the fenced rear of home with an inground 20x40 saltwater pool! The left wing of the home features 2 generous bedrooms with a shared hall bath, newly custom renovated with jetted tub! The right wing features the master bedroom with double closets, and large recently renovated bath with dual sinks, jetted tub and frameless glass shower! Also on this wing is the huge 24x16 step down family room with bay window and side entrance, and a large laundry/pantry room. One level living at it~s finest! Oversized 2 car detached garage with 2 bays, 8 ft. doors plus separate storage shed. A fantastic property for horse lovers, this property is fully fenced with 4 paddocks, two barns, a 7 stall barn with wash stall and a 16 stall aluminum barn complete with indoor riding ring, tack room, wash room and more! Both with water and electricity! Or turn the barns into storage for a home based business, potential winery or collector~s paradise!" "Panoramic views!! 7.85 AC lot. Custom builder will make changes/customize plans. Ask agent for builder's interactive website to view additional models/floor plans. Energy conscious home. See docs to view quality standard features for all models. Builder offers $5K towards buyer's CC if buyer uses 1 of approved lenders & title co. Photos may show options not included in the base price." "Surrounded by woods, this is an oasis at the end of a private drive. This Farm House was renovated in the 1980's and offers 2 main level baths, a large gathering room off the kitchen and 3 bedrooms/2 baths on the upper level. Hardwood floors throughout main level. Property has detached 2 car garage, chicken coup, small utility garage, barn and what was once a spring house. Several outbuildings and some fencing. A whole house generator offers constant power to the house as the area does lose power during extreme weather." 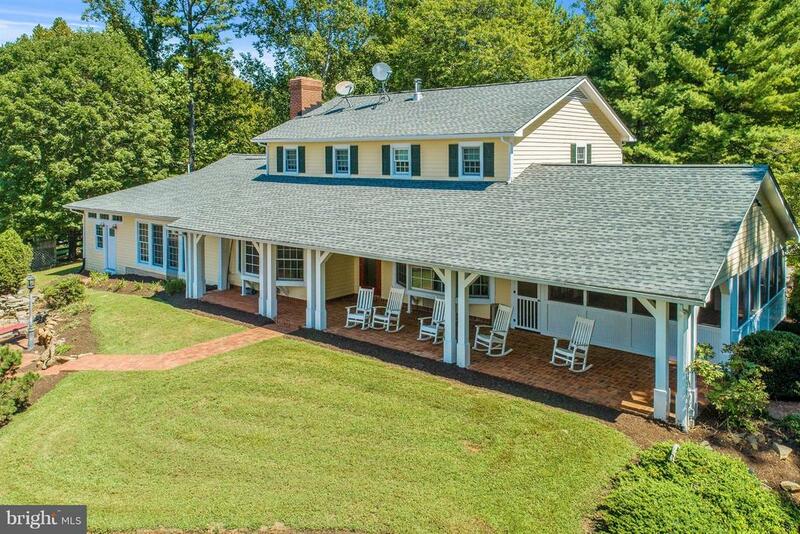 "Your oasis awaits in Rappahannock County! Enter from a private drive your paradise! This 3 bedroom farmhouse was completely restored in the 1980's then added a detached oversized 2 car garage." 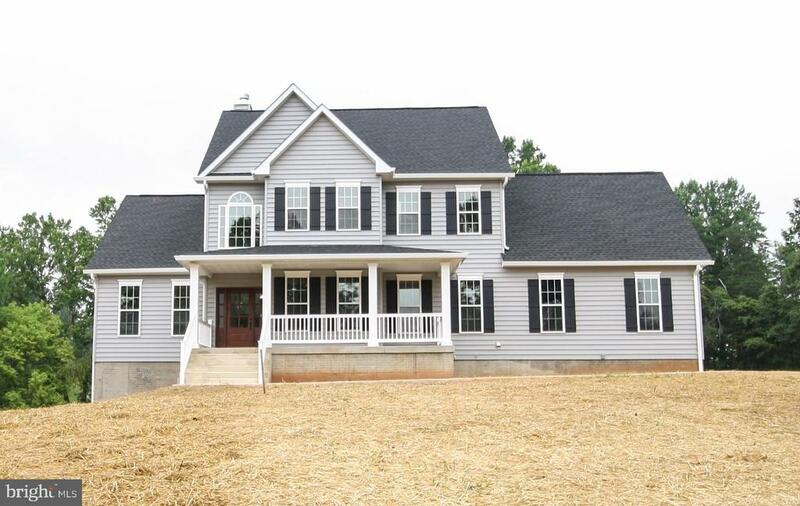 "Completed New Construction-MD RUSSELL CONSTRUCTION HOME. Located in a Quiet Cul-de-sac. 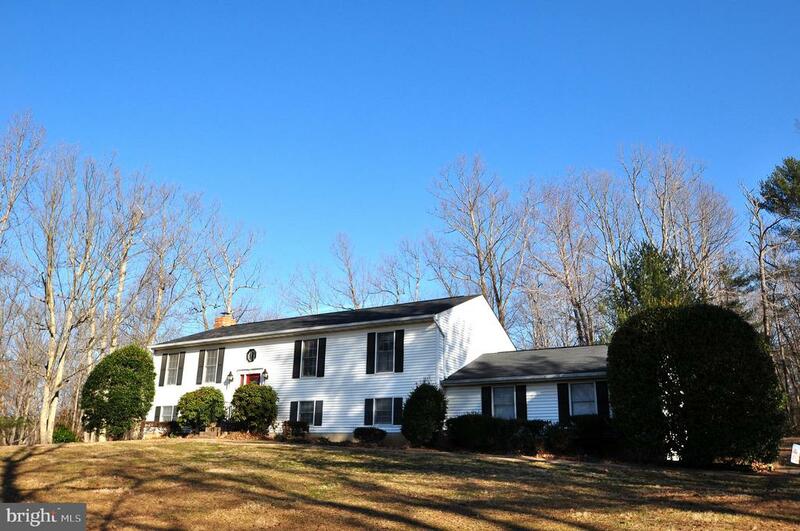 Eye Catching Colonial on 2.8 acres with a fireplace that says relax! Everything about this 4 bedroom home is perfect from top to bottom. 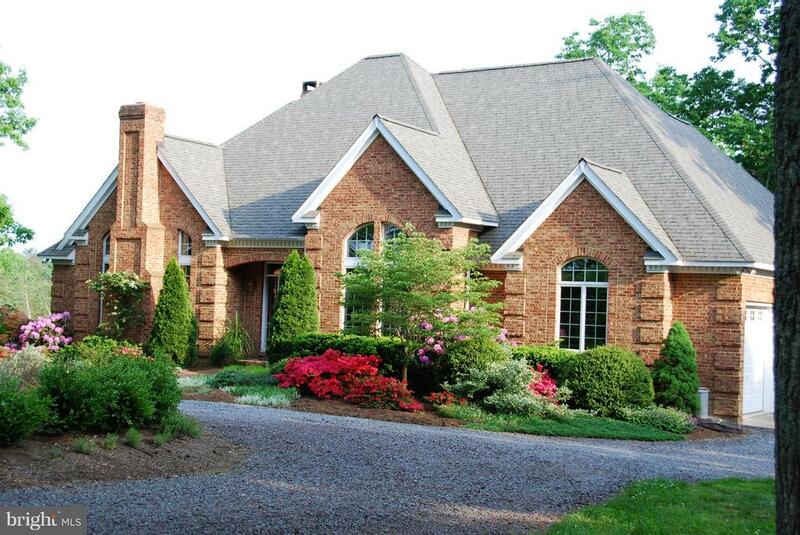 Features Formal Dining Room, Living Room with Stone Fireplace, Custom Kitchen, an office, and a Elegant Master Suite. It is immaculate throughout and is an Excellent Value at $459,000, especially considering there is a 2 car attached garage. SELLER IS MOTIVATED, Submit any reasonable offers." "BACK ON THE MARKET with A NEW PRICE!!! Beautiful Rambler with inground pool and stamped concrete patio. Lovely kitchen with Pantry and Granite Countertops, stainless steel appliances, gas top stove, island with seating, Laminate Flooring on Main Level. All Bedrooms have Ceiling Fans/lights. Partially finished basement with Rec Room & Bedroom (NTC). Protective Restrictive Covenants. 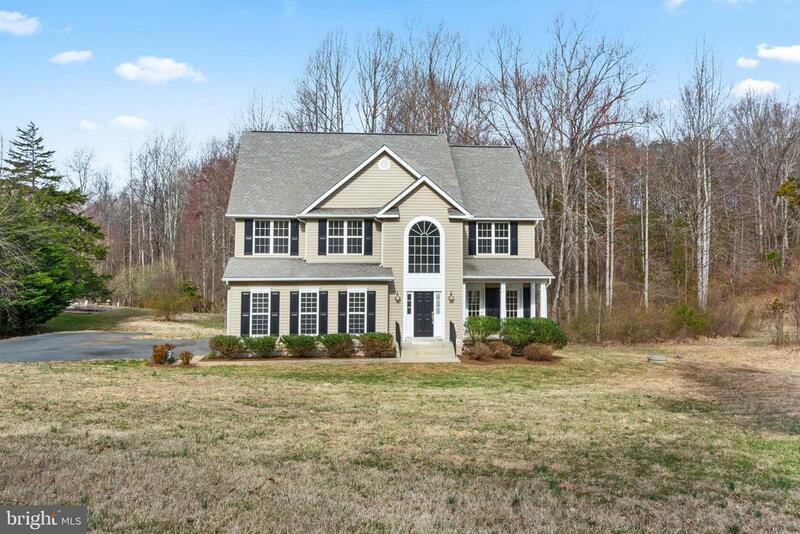 Small Subdivision in Culpeper County with County maintained Cul-de-sac. Schedule on line." "***GORGEOUS 4 BEDROOM COLONIAL WITH OVER 4100 SQ FT OF SPACE ON 3 LEVELS***OVER 2800 SQ FT OF FINISHED SQUARE FEET ABOVE GRADE WITH AN ADDITIONAL 1200+ SQ FT IN AN UNFINISHED WALKOUT BASEMENT! 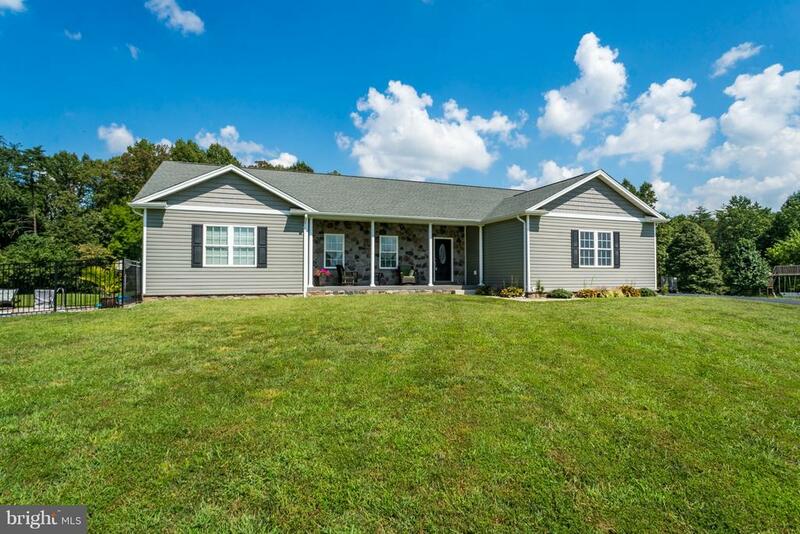 RENOVATED HOME WITH REFINISHED HARDWOODS ON THE MAIN LEVEL, NEW CARPET, FRESHLY PAINTED AND MUCH MORE...YOU WILL NOT BE DISAPPOINTED- 2 CAR SIDE LOAD GARAGE, 1.7 ACRES & MORE..."
"Gorgeous pastoral views, private serene 5.5 acres, 3 garages, 2 carports (one for an RV), shed. Front porch, rear deck, screened breezeway, above ground pool. Main level master bedroom with master bath and walk-in closet, two other bedrooms on main level (3 total) and 1 bedroom on upper level with walk in closet. Family room with stone fireplace (propane gas), Kitchen with all appliances and breakfast table area, living room, dining area, mud room/laundry, large parking area." 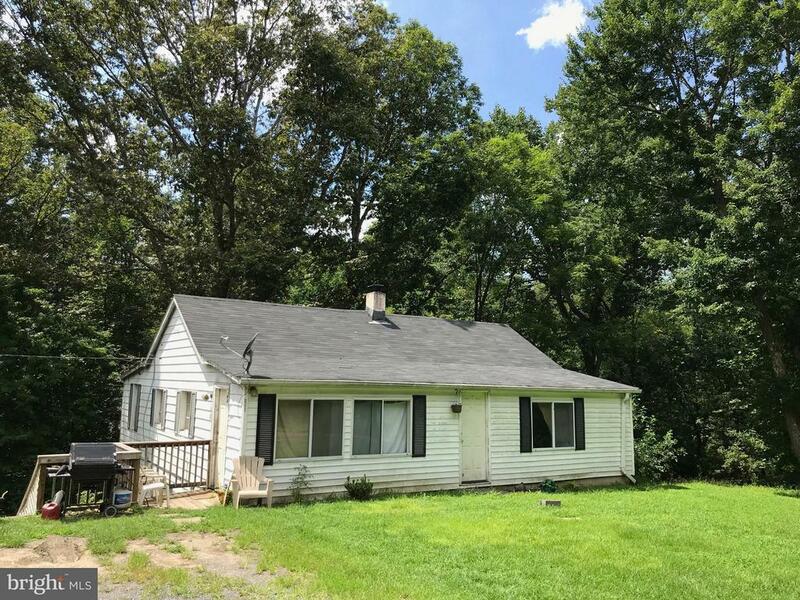 "3 Bed 1 Bath home in Rapphannock County ~ 1000+ sq/ft of living space with full basement to expand ~ Sits off 522 Sperryville Pike ~ 20 minutes to Culpeper ~ Less than 10 mins to Sperryville ~ Could be great starter home or an addition to your rental portfolio ~ Call with questions"